It started with a play day at my house. My friends and I took a simple bird shape, added a tail and began to play. We experimented with discharge paste, using both positive and negative images of the bird and using freezer paper as a mask. We went our separate ways to work with the resulting cloth. The sun was shining through my window and it was hot hot hot! I began to picture the images as Mexican sunbirds. I used a lot of decorative thread plus beads and sequins and lovely thick wobbly wools and sari ribbons and braids for the tails. I added a deep, dark pieced border and painted it with white sparkly paint top depict the sun's rays. 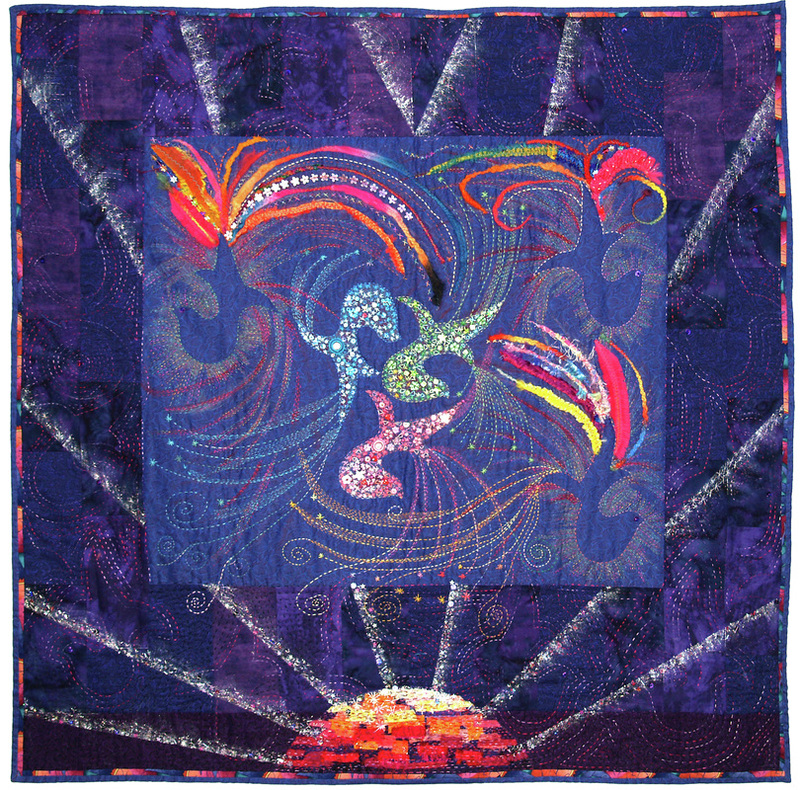 As the quilt began to tell me its story I added more sequins, beads and shiny metallic threads. Who says less is more?